Triac designer TC161-160-12 with reverse voltage 1200 V, maximum direct current 160 A and gate current 300 mA. The symmetrical thyristor, also called triac, is a semiconductor element that regulates and switches alternating current loads. 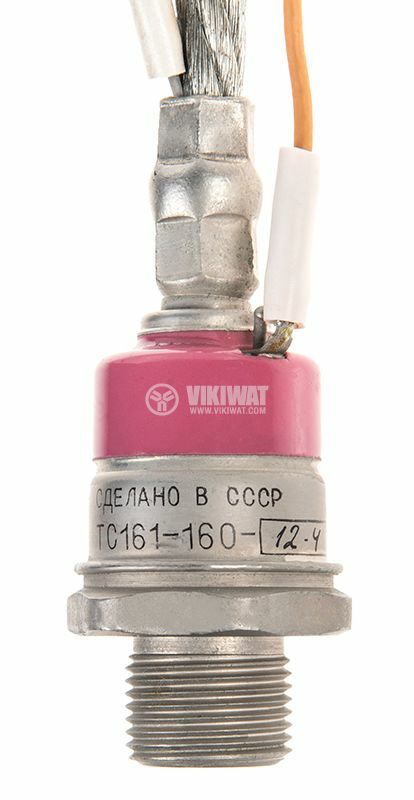 Simists are widely used in household and industrial electronics and automation when it is necessary to handle high voltages and currents.